This Viking throwing axe is based on historical originals. Similar axes were used for war and as a tool. 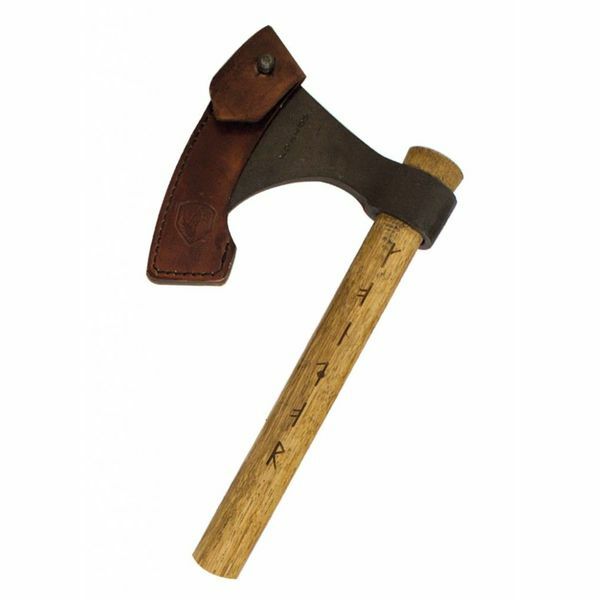 The axe is suitable for early medieval living history and is fully functional. The axe head is made of high quality 1060 carbon steel, with a hardness of 50-55 HRC. When necessary, you can remove the shaft and replace it with a new one. This makes it suitable as a Dane axe.